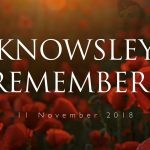 A lasting memorial to those who lost their lives in the two World Wars is taking pride of place in a new community garden used by locals attending Knowsley Council’s Older People’s Day Centre in Huyton. 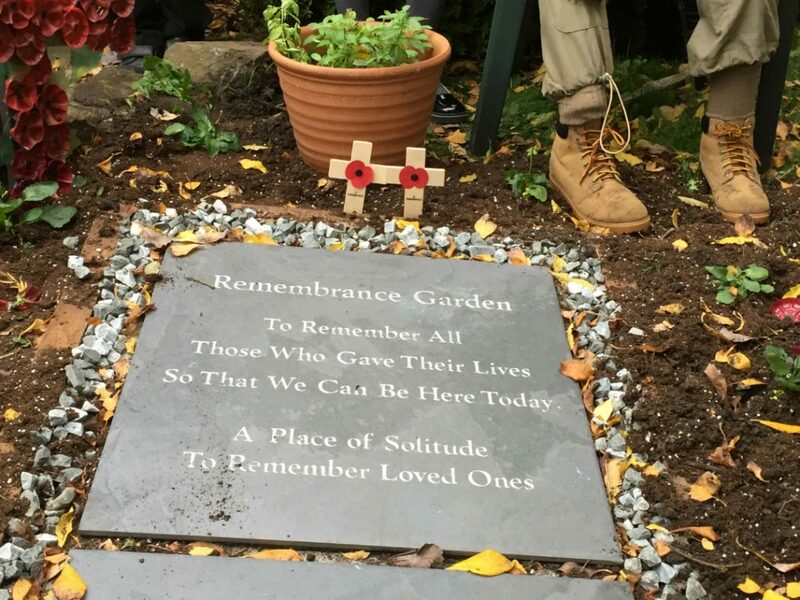 A slate memorial plaque has been created following a fundraising drive by service users at the day centre on Roby Road, who were keen to mark the centenary of the end of the First World War with a permanent feature in the garden. 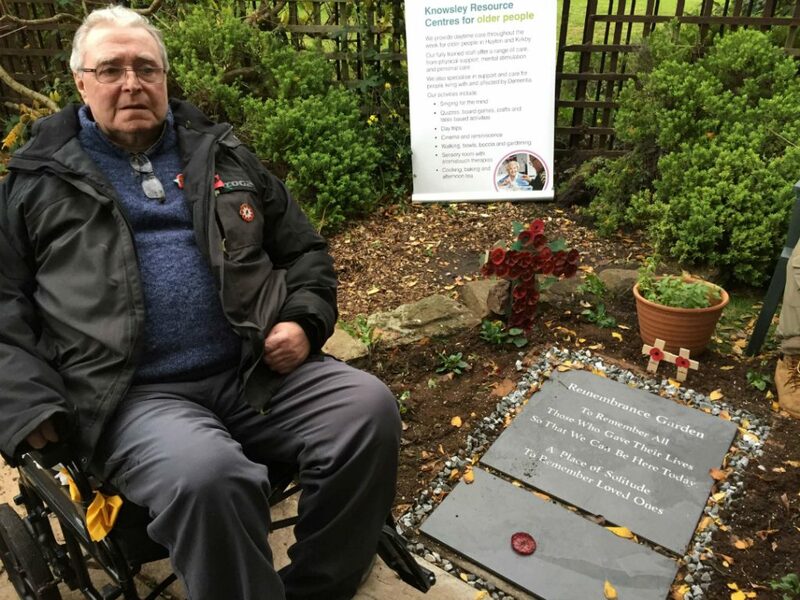 Community donations paid for the materials for the plaque, which was the brainchild of day centre regular Tony Beech (pictured below). 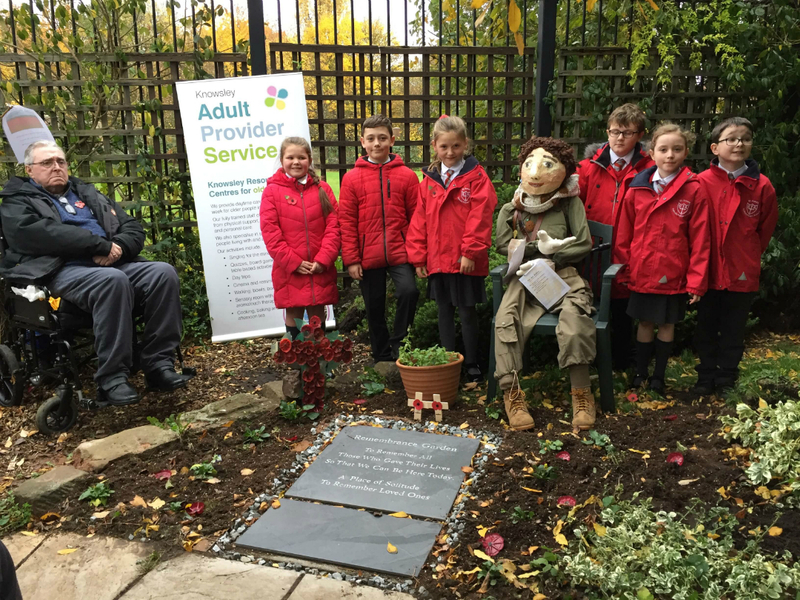 Tony was joined by children at St Anne’s Primary School and fellow service users from the older people’s day service and adult disability service to unveil the plaque. The plaque is the latest addition to the garden which already includes a fruit and vegetable growing area run by Knowsley Community Hub’s Incredible Edible group. Plans are also underway for a sensory area of the garden where regulars at the Older People’s Day Centre can relax and enjoy the open space.